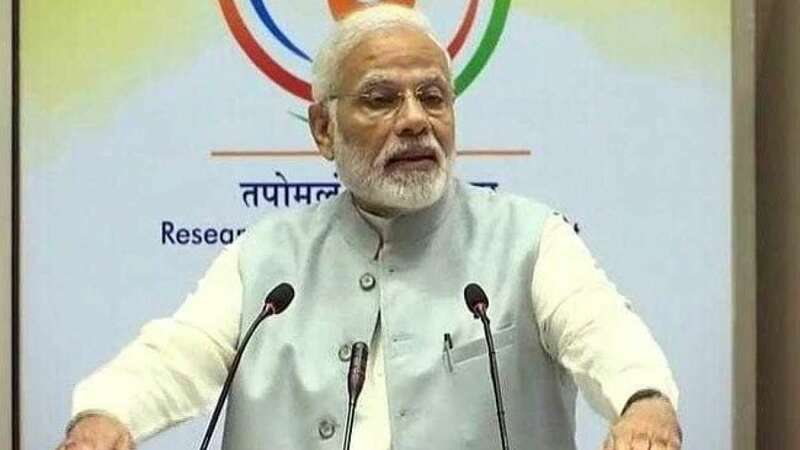 New Delhi : India's Prime Minister Narendra Modi in a conference said that the knowledge and education are not confined to books. He addressed a conference attended by Vice Chancellors and Directors of over 350 higher education institutions. The event titled 'Conference on Academic Leadership on Education for Resurgence' was held in n continuation of the efforts being made by the Ministry for evolving an action plan for transformation of the higher education sector. The conference was held to discuss the challenges facing the Indian education system and to work out a plan for a paradigm shift both in terms of achieving academic outcomes and also in regulation of education. The purpose of education is to enable balanced growth in every dimension, which is not possible without innovation. In our ancient/old universities like Takshshila, Nalanda and Vikramashila, innovation was given emphasis along with Knowledge. In our ancient universities like Nalanda, Vikramshila and Takshashila both knowledge and innovation were equal given importance. I insist that students should give knowledge in the class room of the College, University but they also add them to the aspirations of the country. Centre strives to make educational institutions in the country's needs at every level. With this vision, we have started the Atal Tinkering Lab. Focusing on increasing trend of innovation in schoolchildren. Our government is also focusing on investing in education. To improve the infrastructure of education, the Revitalization of Infrastructure and Systems in Education or RISE programme has been started. It aims to spend one lakh crores by 2022. The government has set up HEFA- that is, High Education Funding Agency, which will provide financial assistance in the formation of higher educational institutions. Government has decided to increase the budget of National Higher Education Campaign. We have started this by giving autonomy to institutions like IIMs. Now IIM has got the strength to decide on its course curriculum, teacher appointment, board member appointment, expansion. The government will no longer have any role in them. This is an unprecedented decision related to higher education in India.